Embroidered, Velcro backed morale patch. Measures approx: 2.375" Wide x 2.25" Tall. Inspired and made for our friend and Force Girl, Christine the Fett! Love it! It is bigger than I thought and thread detail is beautiful. Shipping and delivery was a breeze as well. Highly satisfied with the purchase. 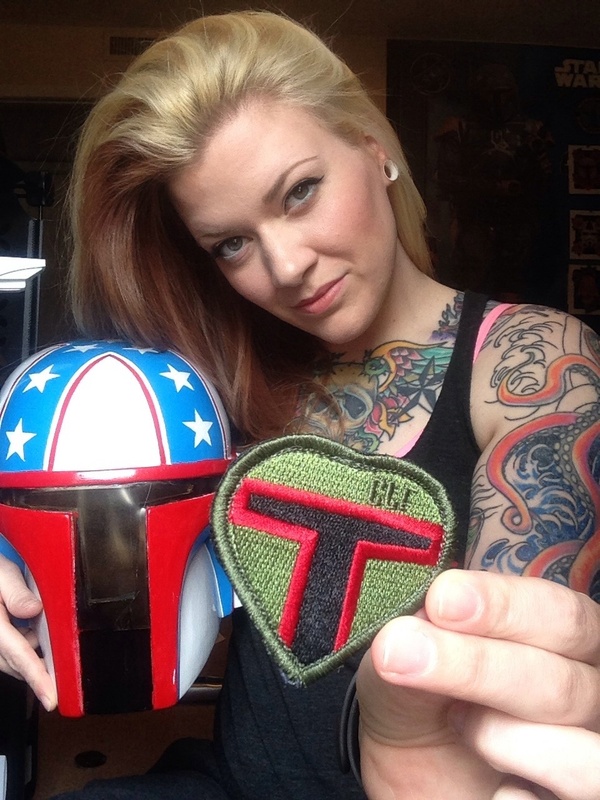 Without this patch I would never have learned about Christine Fett!